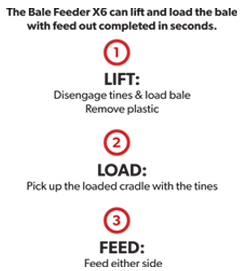 Bale Feeder X6 – Bale Feeders that doesn’t break the bank or your back!! 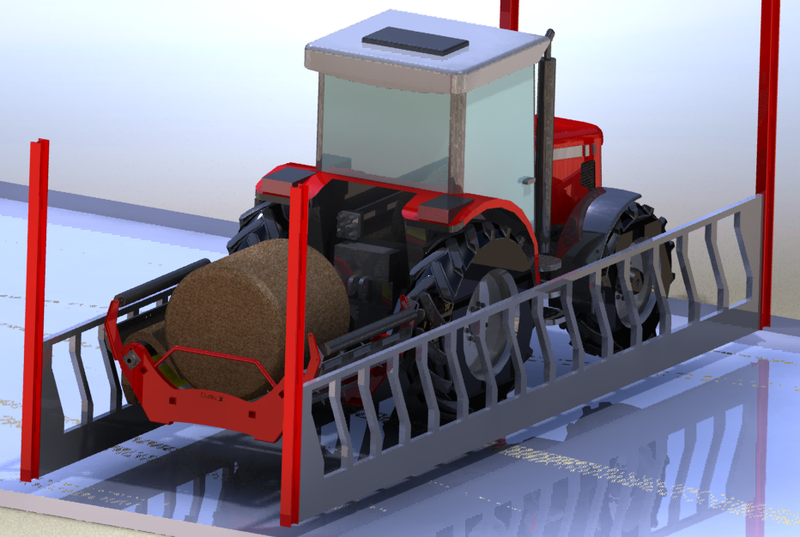 The Bale Feeder X6 bale unroller has been developed to offer a solution for round bale feeding suited to favourable bale conditions and where budget plays an important part in the buying decision. This machine is competitively priced yet offers a higher specification than other low cost machines, boasting the highest torque motor on the market, over 50,000N chain with hardened rollers and galvanised bars. With full control over the amount of silage dispensed you can make sure your livestock get what they need. 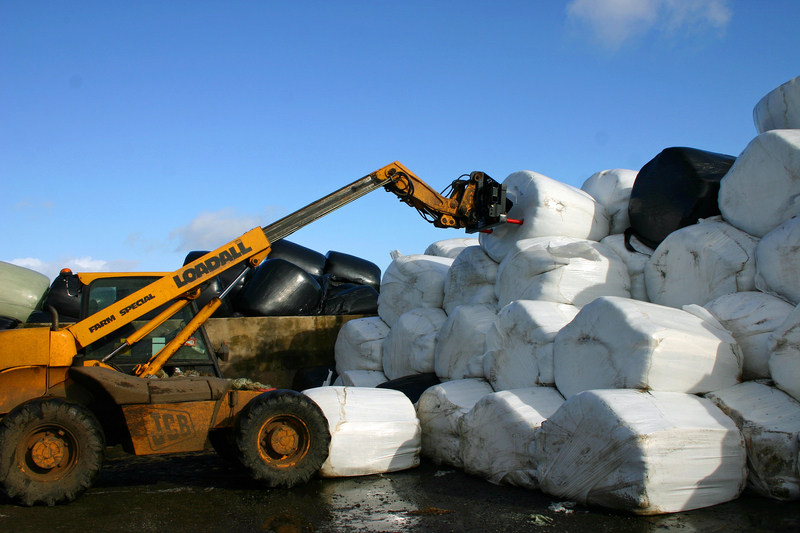 Silage is fresher and more palatable to livestock for improved intake and more liveweight gain, ensuring less selective eating so less silage is wasted. 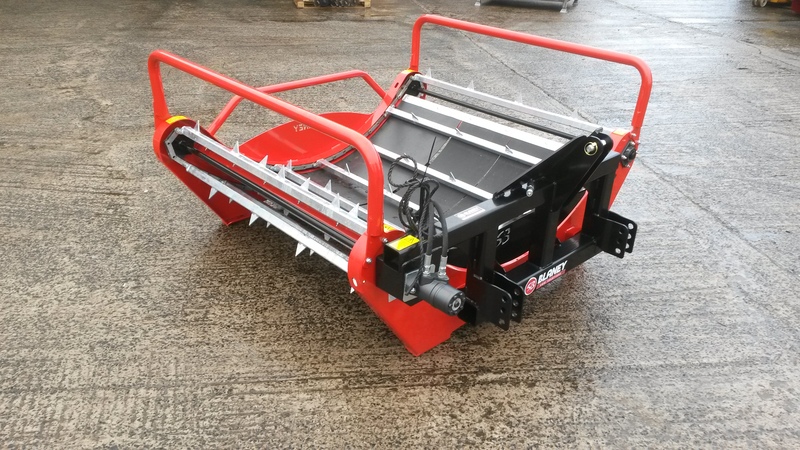 For those feeding heavy and misshapen bales we recommend the Forager X10 which has been designed specifically to cope with challenging conditions thanks to its heavy duty frame and crossbars, special feed out systems and side rollers. This special loader model means that high stacked bales are no longer a problem- simply disengage the bale bed to reveal the tines. Drive up to he bale and the Bale Feeder X6L lifts and loads it, all at the push of a lever. Pick up the loaded bale bed with the tines and you’re all set and ready to feed. 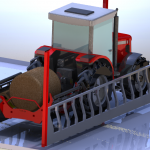 The self contained bale lifter ensures that feeding out round bales is a 1 tractor operation. Tines have uneven toe length for easy pick up of the bale cradle, since only 1 tine has to be lined up. 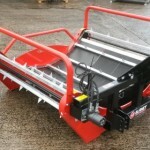 The machine width is from 6ft1 / 1.85m and so can be used in tight passageways from 8ft2/2.49m wide. 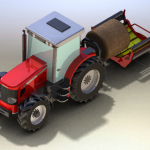 The Bale Feeder X6 can be used to feed out both sides. This can be done simply by hydraulic control. In a very tight passage where silage has to be fed on both sides, the Bale Feeder X6 can be used to feed to alternate sides. The tractor can be reversed in, silage fed out to one side, then the other before the tractor moves forward and repeats the feed out process. Hydraulic control also allows you to control the feed out rate to ensure the right amount of silage is distributed. The Bale Feeder X6 has a low cradle for easy loading of the bale. The tines with uneven toe length ensures that only 1 tine has to be lined up at a time when picking up the bale cradle. The guide points help you line up the tines. The strong durable frame has been developed using finite element analysis for maximum strength and minimum weight. The 50,000 newton chain is the strongest chain of any machine on the market. The chain provides a smooth operation thanks to reduced friction from running on hardened rollers. Non corrosive floor encourages slip and bale rotation for effective feeding. 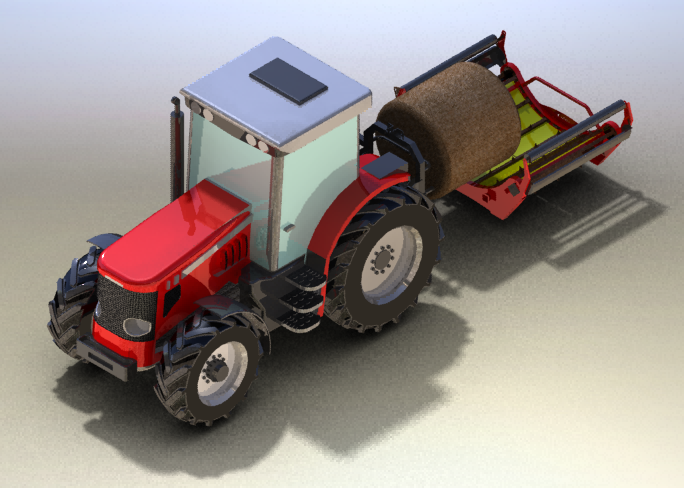 Mounts on a 3 point linkage with 3 linkage mount points to suit different tractor heights.